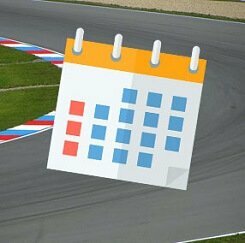 Choose a car/bike track day or experience by date. Choose your experience based on where you are within the UK. Choose an experience based on what activity you would like to do. Buy an open gift voucher for the perfect gift. Choose an experience by which type of activity you want to do. Get everything you need for your Track Day or Experience. 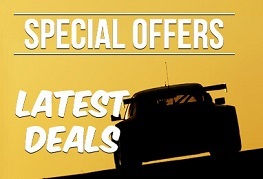 The UK’s number 1 place to book your Car or Motorcycle Track Days & Driving Experiences. What’s the difference between a track day and a driving experience? A track day is an event where you take your own car or motorcycle to enjoy on the track, usually for a full day or evening. No racing experience is required but attendees require a full valid driving licence (full unrestricted licence for motorcycles) or a race licence. A driving experience is a test drive in a supplied vehicle with an instructor present, usually for 3 – 4 laps. There are many types of driving experiences but they are generally classified as either Supercar, Rally, Racing Car or Off Road experiences. It is also possible at some venues for non-licence holders and kids from 12 upwards to drive a car. Trackdays has been thrilling customers with driving experiences, bike and car track days and experience gifts since 2004. Getting bigger and better, adding more experience venues, more race circuits and more experience days every year. With no plans of slowing down anytime soon. We are independent and therefore not tied to any one track, provider, hotel or events team. This gives us the ability to offer a massive range of experiences at tracks and venues across the UK and Europe. We offer bespoke, unbiased advice on the best experiences and events that suit your requirements. 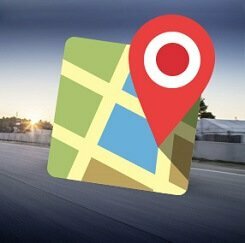 With a background in motorsport, Trackdays creators built trusted relationships with driving experience and track day suppliers. As well as the racing circuits and purpose-built experience venues at which these events operate. The range of driving experiences, including from supercar, rally, drifting, off-road and many, many more have been put together to cater for anyone, for him, for her, for juniors and for groups. As well as driving experiences and racing, Trackdays offer a huge selection of experience days and gift experiences. Perfect for birthdays, Christmas, Valentine's Day, Mother's Day. Father's Day or any other special occasion. Recharge your batteries on a spa day, go indoor skydiving or enjoy a spot of afternoon tea in the city. If you're an organisation looking to create unique corporate events to entertain clients. Or a business that wants exciting team building days for your staff, Trackdays can help. We're able to tailor existing experience packages or create completely bespoke offerings to suit your business's needs. Once you've selected an experience for yourself or for someone special, add your gift to the basket. Then proceed to our secure checkout and complete your order. You'll receive a receipt of your order by email. You'll receive your voucher in a gift pack through the post, or as an E-Voucher by email depending on which delivery option you selected. Most vouchers are dispatched directly from us but some may be directly from the operator. Follow the instructions to activate your voucher and select the package or date you would like to be book. Our team will take care of the rest and you'll receive an email confirming your experience date. In most cases, your voucher will be valid for 10 months and your voucher must be activated and used within this time. It's the day of your experience and it's over to you. Head off, enjoy and have fun. Remember to let us know how your day went after the event. 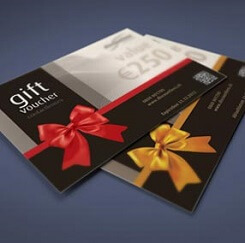 The great thing about our gift vouchers is that they give the recipient complete flexibility. We operate a Voucher Exchange policy which means that if your voucher hasn't been booked in for an experience, you can switch it to any other eligible experience that you like the look of. Got a voucher for a Ferrari experience but want to drive a Lamborghini? No problem, get it swapped and get it booked in.